I am using the Warm & Inviting kit called California Girls by Pimp'd Designz. The tube I am using is called Lena. You may purchase this tube at Elias Chatzoudis Art Shop. C/P cc-waves-01 & duplicate this layer. C/P cc-fish-02 & resize 40%. C/P cc-fish-01 & resize 40%. Mirror this image. C/P cc-flower-01 & resize 60%. Duplicate & Mirror this image. C/P cc-cloud-01 & resize 40%. Duplicate. C/P cc-cloud-02 & resize 40%. Duplicate. C/P cc-flower-02 & resize 50%. C/P cc-flower-03 & resize 30%. C/P cc-parasol & resize 40%. I am using a beautiful kit called 50 Shades Bundle by Designs by Sarah. The tube I am using is called Darker by Zindy S. D. Nielsen. I will be using C/P for Copy & Paste. C/P sb_pmt_50-shades_frame 1 & resize 60%. Using your Magic Wand, Click inside the frame to add your tube. Resize your tube to your liking. C/P sb_pmt_50_Shades_WORDART_word art 3 & resize 20%. C/P sb_pmt_50-shades_print 2 & resize 80%. 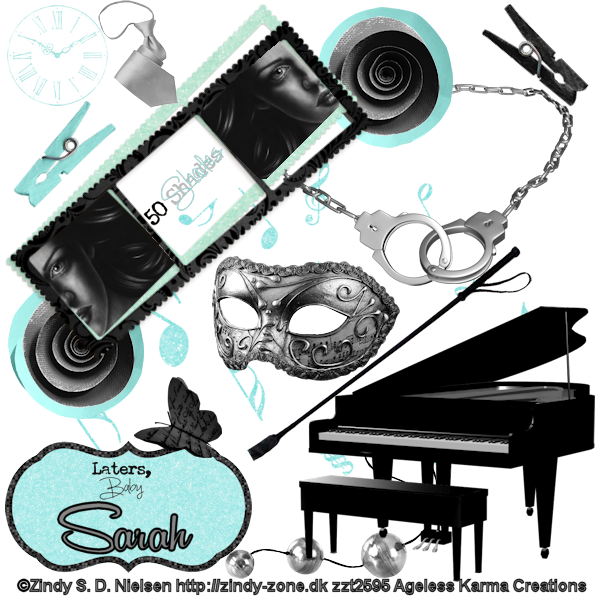 C/P sb_pmt_50 shades darker_piano & resize 60%. C/P sb_pmt_50 shades darker_hand cuffs & resize 50%. C/P sb_pmt_50 shades darker_mask 1 & resize 50%. 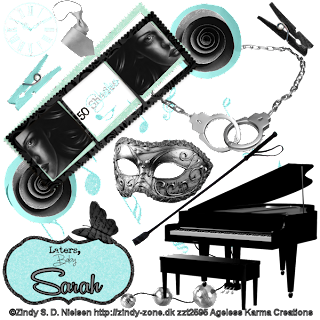 C/P sb_pmt_50 shades darker_music notes & resize 80%. C/P sb_pmt_50 shades darker_clothes pin 1 & resize 40%. Rotate this layer 45% to the Right. C/P sb_pmt_50 shades darker_clothes pin 2 & resize 40%. Rotate this layer 45% to the Left. C/P sb_pmt_50 shades darker_flower 1 & resize 40%. C/P sb_pmt_50 shades darker_flower 2 & resize 40%. C/P sb_pmt_50 shades darker_scallop mat & resize 40%. C/P sb_pmt_50 shades darker_balls & resize 50%. C/P sb_pmt_50 shades darker_tie & resize 30%. C/P sb_pmt_50 shades darker_riding crop & resize 50%. C/P sb_pmt_50-shades_butterfly & resize 40%. C/P sb_pmt_50_ShadesWORDART_word art 7 & resize 20%. C/P sb_pmt_50-shades_clock face 2 & resize 20%. The PTU kit I am using is called Irish Luck by AmyMarie. I am using the wonderful artwork of Keith Garvey the tube is called Emerald. You must have a license to use his work. Using your Magic Wand, Click inside element 13. C/P 51 & resize 60%. C/P full body tube & resize 60%. C/P 12 & resize 60%. C/P 7 & resize 40%. Duplicate & Flip. C/P 7 & Duplicate & Mirror. C/P 28 & resize 35%. At this point, I added my Copyright & Watermark on this layer. C/P 29 & resize 50%. Free rotate this layer 95 degrees to the right. I'd love to see your results of the tutorial. Please send them to agelesskarmacreations@yahoo.com. 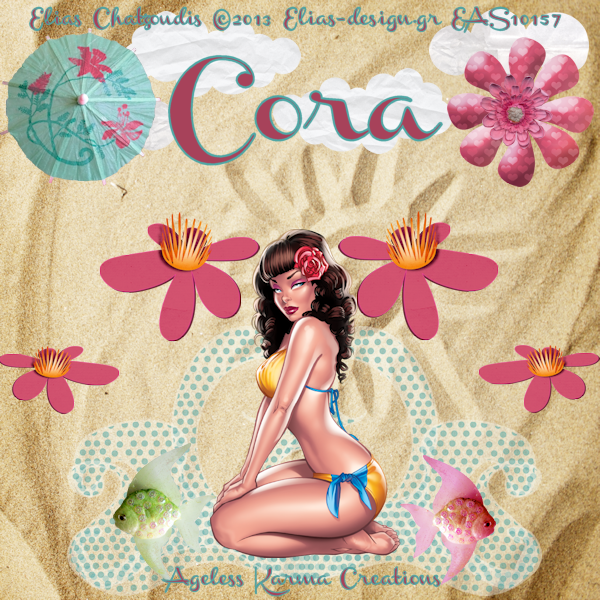 The PTU kit I am using is called Springtime Mix n Match Collab by Designs By Sarah. I am using the beautiful artwork of Keith Garvey called Hippity Hop. Please make sure you have a license to use his work. You may get one at his site. I will give most of the elements drop shadows. C/P sb_pmt_springtime_word art & resize 60%. C/P sb_pmt_springtime_flower 7 & resize 60%. C/P sb_pmt_springtime_flower 8 & resize 45%. C/P sb_pmt_springtime_frame 3 & resize 60%. Here you will duplicate some of the flowers & all the flowers will be placed around the frame. C/P sb_pmt_springtime_flower 6 & resize 60%. C/P sb_pmt_springtime_ flower 8 & resize 60 %. C/P sb_pmt_springtime_flower 5 & resize 45%. C/P sb_pmt_springtime_flower 4 & resize 35%. Duplicate. C/P sb_pmt_springtime_flower 2 & resize 30%. Duplicate. C/P sb_pmt_springtime_flower 1 & resize 30%. C/P sb_pmt_springtime_butterfly & resize 45%. C/P sb_pmt_springtime_dandelion wishes. Duplicate x twice. I am using a kit called Ascension by Designs By Sarah. 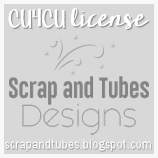 You can purchase it at Pimp My Tags W/ Scraps by clicking the link above. The tube I am using is Still Here by Zindy S. D. Nielsen. You do need a license to use her work. Please use my tag as reference to place elements. C/P sb_pmt_ascension_pp6 & resize 86%. C/P sb_pmt_ascension_frame 2 & resize 60%. Add a drop shadow to this layer. C/P your tube of choice & place to your liking. Drag this layer under the frame. Give drop shadows to the following elements. C/P sb_pmt_ascension_bubble 3 & resize 60%. C/P sb_pmt_ascension_bubble 4 & resize 40%. C/P sb_pmt_ascension_moon 2 & resize 40%. C/P sb_pmt_ascension_cloud 2 & resize 40%. C/P sb_pmt_ascension_flower 2 & resize 40%. C/P sb_pmt_ascension_flower 4 & resize 40%. C/P sb_pmt_ascension_flower 1 & resize 40%. C/P sb_pmt_ascension_feather 2 & resize 30%. Free Rotate 25% to the Left. At this point you can add the Copyright, your Watermark & Tag Name. Don't forget to add your drop shadow.